Happy Fall! Career Training USA has many exciting new developments, and we want to keep you informed through our quarterly newsletter. InterExchange Participants Get a Behind-the-Scenes Tour of Barneys! 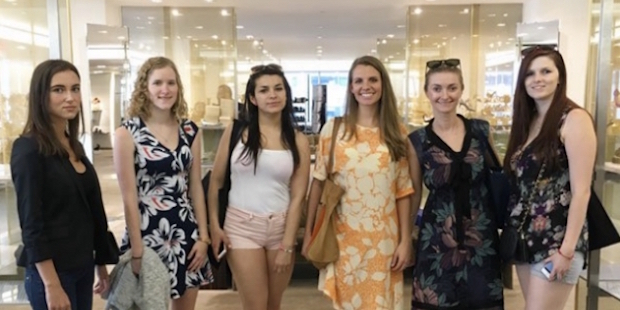 InterExchange participants recently had the opportunity to tour Barneys New York for an inside look at the world of fashion and high-end retail. 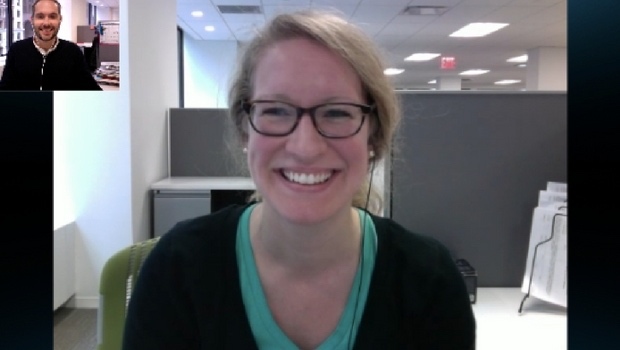 One of our interns wrote a great blog about their experience! InterExchange Partners With Erasmus Student Network (ESN)! InterExchange Career Training USA is proud to announce our new partnership with the Erasmus Student Network. As more and more Erasmus alumni go beyond the shores of Europe, we look forward to helping them participate in the J-1 intern program in the U.S.! We are currently accepting applications for J-1 Visa sponsorship for Fall 2016 and Winter 2017 programs. Make your resume stand out with an internship or training program in the U.S.! Still looking for an internship? Check out our tips for Finding an Internship in the U.S.
For more on interning in the U.S., read our Student Guide! We’re offering a special discount for applicants who apply directly to InterExchange with a friend. You can each get $150 off your program fees! Read the full details. Are you anxious to begin your program on time? We now offer expedited processing for both Interns and Trainees. We’ll guarantee processing in just five business days from a complete application! See our Costs & Fees page for more details. We know many people have questions about how to find an internship, how to apply for a J-1 Visa, and what it is like to participate in the J-1 intern or trainee program. You can chat with us via our website anytime Monday through Friday 9:30 a.m. to 5:30 p.m. EST. Just go to our website and click on the chat icon that will appear at the bottom right of your screen during business hours. If you'd like a thorough overview of the InterExchange Career Training USA program, attend one of our webinars. Over the course of two webinars, we will discuss every aspect of finding an internship in the U.S. and applying for the J-1 visa. Career Training USA is excited about our new language exchange program, which is free for our participants! We are pairing Career Training USA Interns and Trainees with Americans who recently completed an InterExchange Working Abroad program. Our American alumni speak or are learning other languages, so while they practice the languages of Career Training participants, our Interns and Trainees will have an opportunity to hone their English skills. This is a great way to improve your language skills, teach your native language to an American, and make friends with Americans who are interested in cultural exchange. Our language partner program was a finalist for a GoAbroad Innovation Award! Check out this blog post by one of our interns who participated in our language partner program! The U.S. State Department launched an exciting new program this year called I-LEAD. J-1 interns from all sponsors were invited to apply for a spot in this fully-funded, weeklong leadership training program. The second I-LEAD program was held in Seattle in August. InterExchange interns were among those offered the opportunity to attend the first and second programs and had an amazing time! Read our blog post about I-LEAD Seattle. Historic Annapolis is one of the leading historic preservation organizations in the United States. Founded in 1952, Historic Annapolis has worked tirelessly to preserve buildings, gardens and artifacts from early American and colonial times and create meaningful exhibits for the public. This unique collection in the heart of Maryland’s capital gives visitors an amazing opportunity to learn about the early life of our nation. Finding a great internship can be intimidating if you've never done it before. Our tips can help you land an internship with your dream company! Make a list of companies or internship postings that interest you. Ensure you meet any requirements in the internship descriptions and that you have researched the company and its location. Create a winning resume and cover letter by following our guidelines. Read some of our best blog posts of the past few months for more participant spotlights, American culture, and practical advice for your internship in the US! Get to know the Career Training USA staff a little better. Learn why you need a J-1 visa. 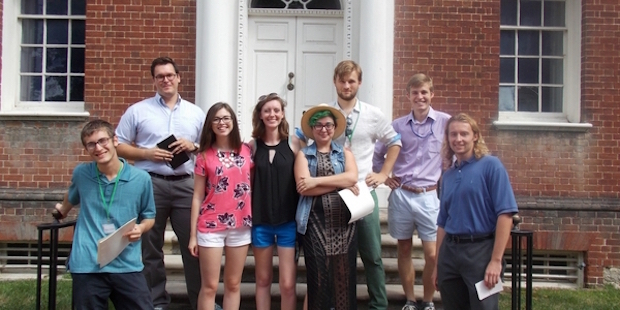 Read about our interns’ networking cruise around Man hattan. Hear about Surabhi’s experience at I-LEAD Washington, DC. Get a head start on your Career Training USA application with our application checklist. Check out what our alumni are doing now. Career Training USA Community – Get Connected! Even though you may not be in the U.S. yet, you can still connect with other international interns and trainees from around the world by participating in the Career Training USA online community! InterExchange is a non-profit organization with more than 40 years of experience promoting cultural awareness through our affordable and exciting work & travel, professional training, internship, au pair, camp, language learning, and volunteer programs within the U.S. and abroad. InterExchange is designated by the U.S. Department of State to sponsor the J-1 Visa for international visitors who would like to engage in cultural exchange by visiting the U.S. for a defined period of time. Our Career Training USA program helps students and young professionals from around the globe enjoy internships and training programs across the USA. We help international visitors take advantage of the cultural opportunities offered by their local host communities in the U.S. Similarly, we encourage U.S. host employers to promote cultural learning by introducing international visitors to uniquely American values, customs, history, and activities while simultaneously learning about the countries and cultures of visiting participants. Strengthening these relationships achieves the goals of mutual cultural exchange and allows us to build a global community - one person at a time.